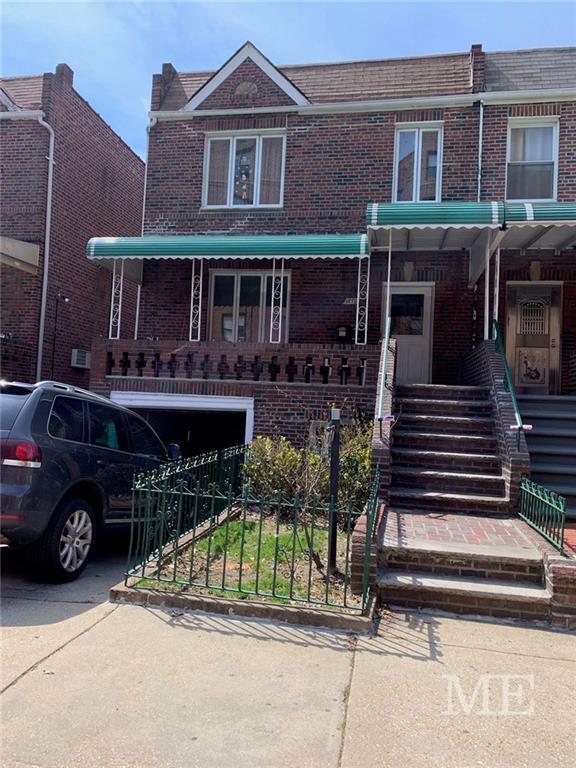 Located on a Very Desirable Block in Bensonhurst. Located just One Block away from Everything You'll Ever Need! Original Home Updates are HWH, Boiler. Huge 22X53 Home. 7 Rooms, 3-4 Bedrooms, 1.5 Baths Upstairs. 6 Rooms, 3 Bedrooms, 1 Bath Middle. Huge Basement. Front & Rear Entrance w/ 1/2 Bath. Homes Similar to this House were Converted to a 3 Family in the Area. 26X96 with Private Drive & Garage. Almost 4,000 Square Foot home.